With cash yields of over 10%, investors in these stocks will lock-in double-digit returns that come in year after year regardless of the share price. That’s the power of dividends. Also, Tim Plaehn has ensured that these stocks’ payments are secure and won’t disappear any time soon. I am always surprised by the number of emails I receive from investors telling me about some incorrect information they were given by their brokerage firm. These types of notes constantly remind me that as income-driven investors, we operate outside of the mainstream investing public. Bad information can cost you opportunity and money. Tax reporting issues are one area where there is plenty of bad information, so I have compiled some knowledge that will help you make more money. The companies that provide energy infrastructure services have a lot of appeal to income-focused investors. Since the U.S. consumes 18 million barrels worth of refined crude oil products every day and 28.5 trillion cubic feet of natural gas every year, there’s a very large and permanent need for pipelines, storage facilities, processing plants and terminals for receiving and delivery. The companies that own energy infrastructure assets have permanent demand because their assets are necessary to the production and processing chain that moves energy from the oil and gas wells to your local service station and utilities providers. The permanent and ongoing need for infrastructure services allows these companies to require that their customers sign long-term, often take-or-pay contracts. These factors solidify the investment thesis that these stocks will continue to have stable, attractive yields, and growing dividends. The challenge for investors is that many energy infrastructure companies are organized as master limited partnerships (MLPs), and are on the stock exchanges as publicly traded partnerships. Because these entities have the legal structure as partnerships, the default tax report is to send out an IRS Schedule K-1 to investors. Individual tax reporting for a K-1 investment is more complicated. While there are pros and cons to investing in K-1 companies, there is no denying that at tax time it is much simpler to own Form 1099 reporting investments. 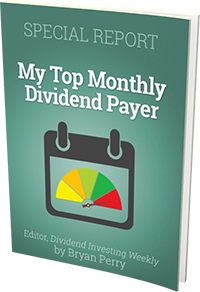 To avoid complicating matters for subscribers in my Dividend Hunter newsletter, I have a policy of recommending only 1099 reporting stocks. The bad information comes with the belief by many investors, and a very large number of brokers, that all MLPs are K-1 reporting companies. If it has an LP in the name, the company must be a K-1 sending investment – not true! The fact is that a partnership business can elect to be taxed as a corporation. About 10% of publicly traded partnerships have elected to be corporations for tax reporting. Another 10% have related or parallel operating companies that are structured as corporations.